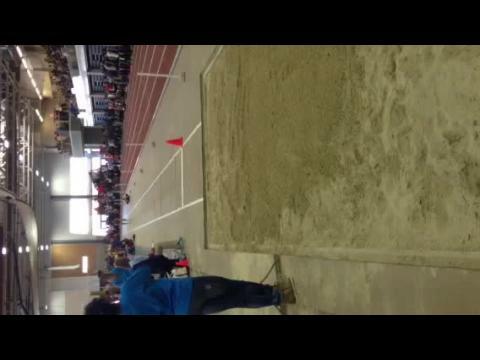 Kate Hall has already established herself as the greatest ever from the state of Maine in the long jump and 55 meter dash after winning performances of 19'11" (US #1) in the long jump and 7.01 in the 55 meter dash at last weekend's Rhode Island Classic to establish new Maine state indoor high school records in those events. After finishing 7th in the long jump at both the New Balance Indoor Nationals and New Balance Outdoor Nationals, the Lake Region junior Hall is looking to show her rare talent from the state of Maine beyond her state borders and beyond even the New England region to compete for All-American honors and national titles at season's end. MileSplit RI would like to wish you and your family and friends a very Merry Christmas. Banner day produces nation No. 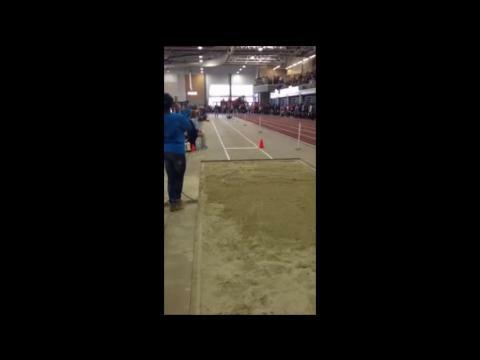 1 efforts in girls' long jump and mile run and boys' freshmen mile. MileSplit RI will provide LIVE results of Tuesday and Thursday's JV state meets and Saturday's varsity state championships at the Providence Career and Technical Academy (PCTA) field house. MileSplit RI will provide LIVE results of the R.I. Classic. This weekend's regional competition will feature Classical High senior and All-American Maddy Berkson, who is entered in the 3,000-meter run and the mile. Also scheduled to compete is Hope's multiple state champion and record-holder Quashira McIntosh, who will answer the gun in the 55 and 300 dashes.